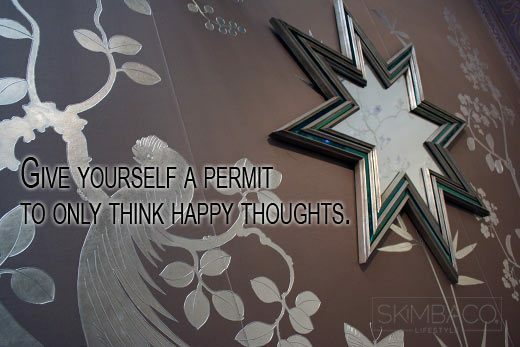 Give yourself a permit to only think happy thoughts. Often we are own worst enemies… and dwell on bad stuff and what-ifs. What if… you would give yourself a permit to stop worrying and start only thinking happy thoughts? Don’t focus on problems, focus on solutions.